WASHINGTON CITY — A parade designed to honor and pay tribute to veterans as well as active duty members of the United States armed forces was held in Washington City as hundreds gathered along Telegraph Street to watch the procession of community leaders, officials, businesses and marching bands pay tribute to those who serve their country. Veterans Day is a national holiday that is held annually on Nov. 11, and coincides with a day of historical importance, down to the time, day and month that the Armistice was signed, effectively ending World War I. The holiday is celebrated in many parts of the world, where it is known in various countries as Armistice Day or Remembrance Day. 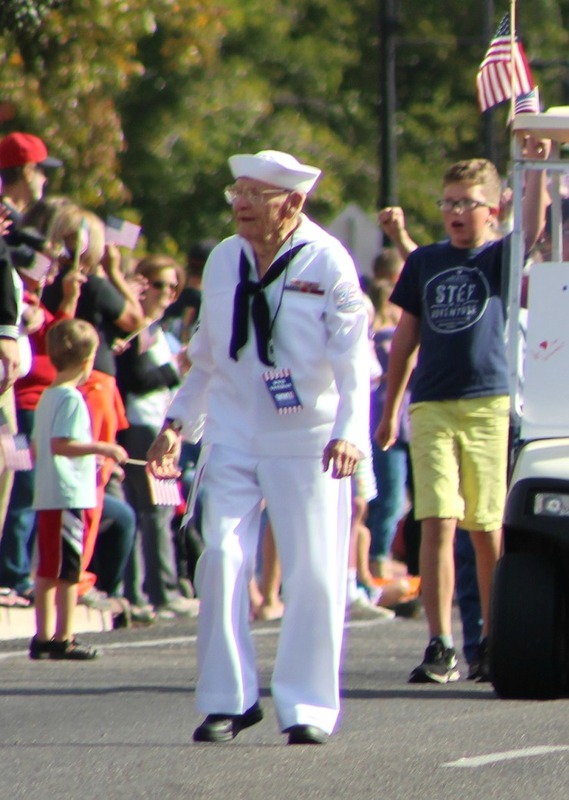 The Washington City parade featured several veterans groups, middle school and high school bands, elementary schools and local leaders who marched and rode along Telegraph Street while throngs of people cheered and waved American flags. St. George News capture many images of the patriotic display in a slideshow honoring our nation’s veterans that can be seen at the top of this report. St. George News videographer Sheldon Demke contributed to this report. God bless our veterans, family, and friends. Thank you for your service and sacrifices.